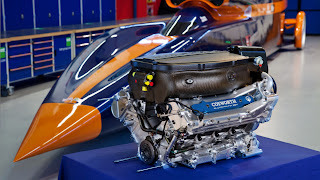 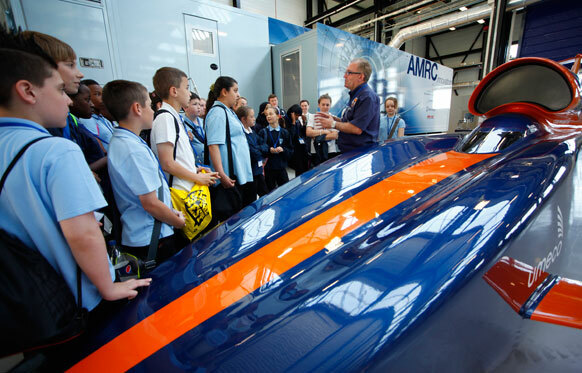 The Bloodhound will attempt to break the land speed record in 2013 and 2014. 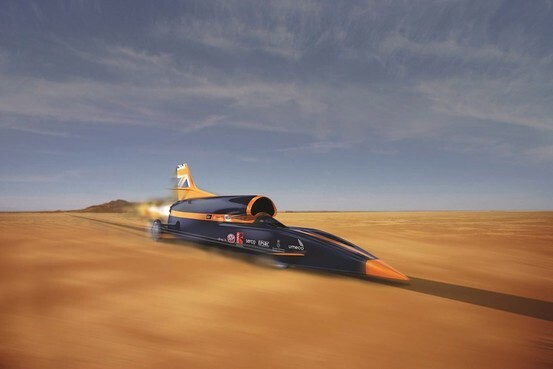 A BRITISH-made supercar is one step closer to its attempt at the World Land Speed record after firing up its rockets for the first time. 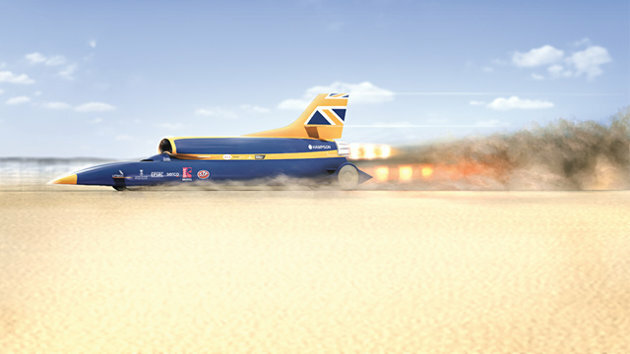 The team behind the Bloodhound SSC believe it can smash the current record of 763mph and even blast through the 1,000mph barrier. 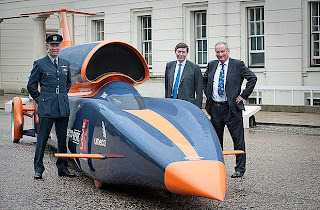 The car was unveiled this week at Newquay Airport in Cornwall - where engineers today began testing its hit-tech rocket system, comprising a Falcon hybrid rocket and a Eurofighter EJ200 jet engine. 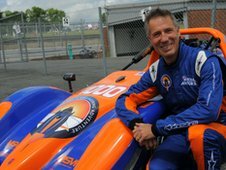 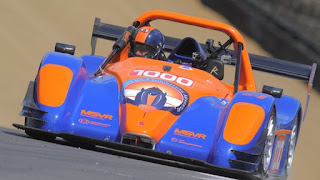 The Bloodhound will make its first attempt on the record in Hakskeen Pan, South Africa next year, when the team hope to pass the 850mph mark. 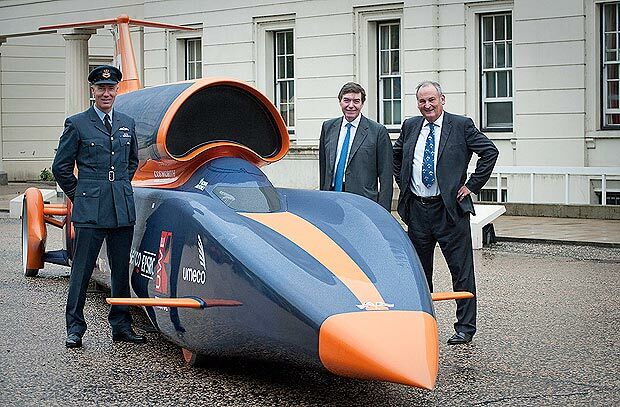 They'll make their first assault on the 1,000mph barrier in 2014. 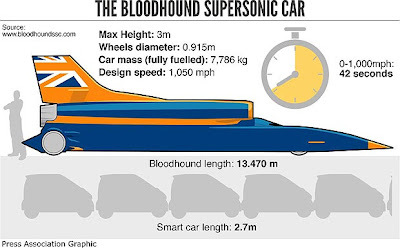 The Bloodhound - which is 13 metres long and weighs 7.5 tons - will be driven by RAF pilot Andy Green. 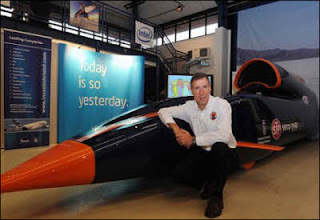 Wing Commander Green set the current World Land Speed record in Utah in 1997, when he reached 763.343mph in the British-built Thrust SSC.